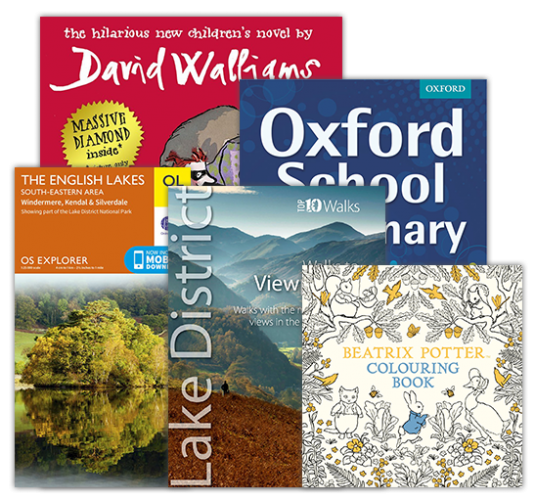 Your local bookseller, supplying an extensive range of books, maps, guides, text books and teaching resources to schools, colleges, libraries and a variety of retail outlets across Cumbria. We can supply any book from any publisher at highly competitive prices so whether you are a teacher, librarian or business owner contact us today for a competitive quote. General public sales are welcome at our large showroom in Workington where we offer a next day ordering service. All well as our excellent discounts and promotions, we also offer various services including; Accelerated Reading, Book Jacketing, Reading Schemes and much more! We can supply any book from any publisher at extremely competitive prices.